Happy Fourth of July! 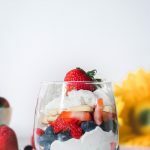 If you’re planning on a having a barbecue whatever you’re grilling is sure to be the star of the show, but don’t forget about serving an equally delicious dessert. This vegan parfait is a perfect choice. With all the beautiful fresh fruit and bright vibrant colors, this dessert screams summer! 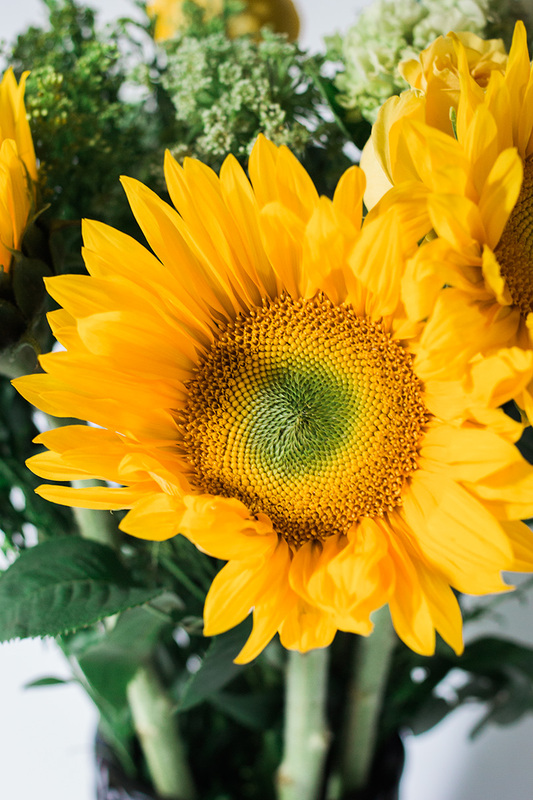 Just like these gorgeous sunflowers that I picked up to use a centerpiece. 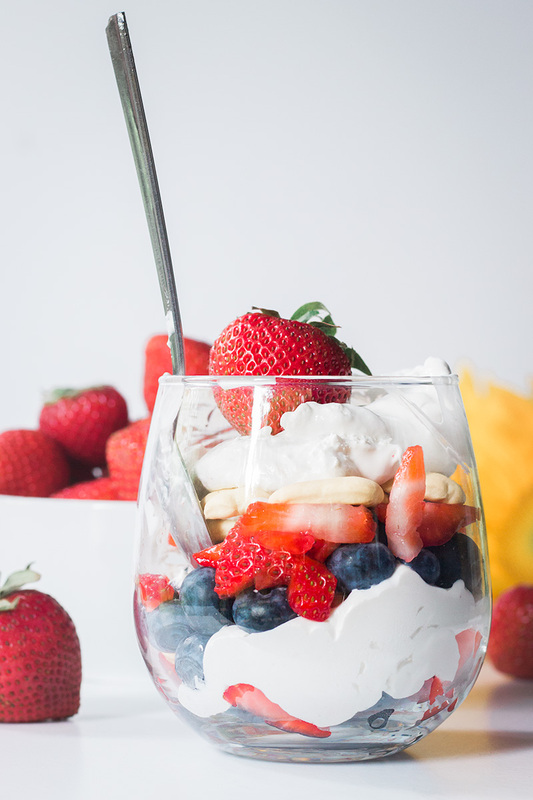 I chose to use strawberries and blueberries to make this a red, white, and blue themed parfait. However, you really could use any fresh fruit that you have on hand. 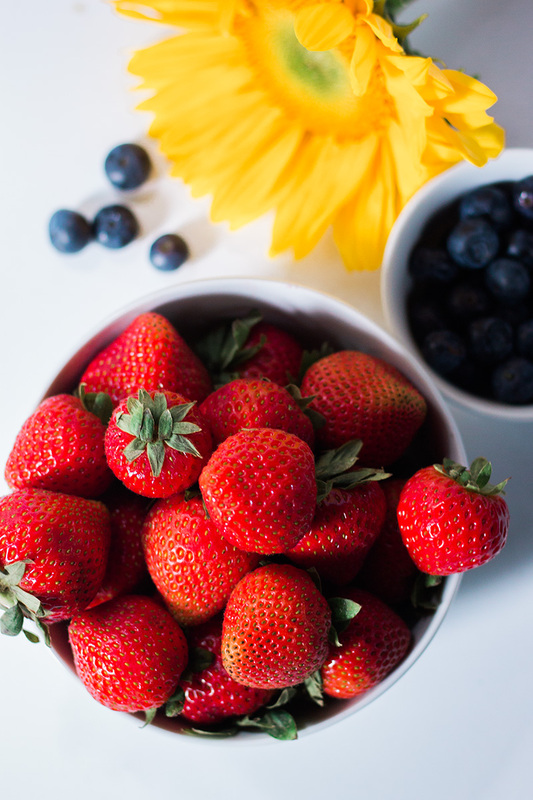 Cherries, raspberries, or a combination would also work in place of the strawberries. 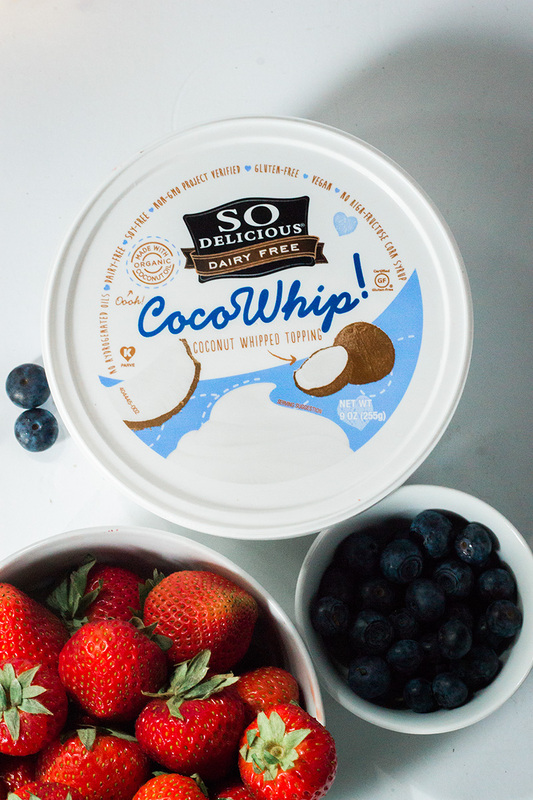 For this recipe, I used So Delicious Cocowhip. I love this product and highly recommend it. It’s available at many grocery stores in with the frozen desserts. However, feel free to use whatever vegan whipped cream you’d like. 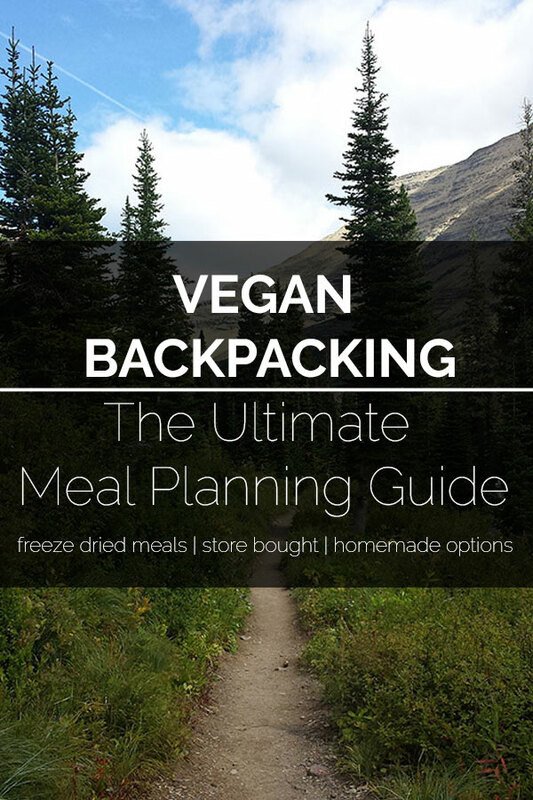 You won’t have to spend a ton of time in the kitchen preparing for your cookout. Or heating out your house with the oven. This recipe doesn’t require any cooking. It is simple to make and literally takes only a minute to put together (okay, maybe two minutes). Simply alternate layers of strawberries, blueberries, animal crackers, and Cocowhip. It’s also a great recipe if you have kids helping to prepare the meal. Simply cut the fruit if necessary and then let them assemble the parfaits. Or set out bowls of fruit and let your guests make their own parfaits. For a gluten-free version replace the animal crackers with S’moreables broken into bite-sized pieces. If you want more vegan summer recipes, check out Red White and Blue Ginger Lemonade, Roasted Corn Salsa, and Grilled Falafel Kabobs. 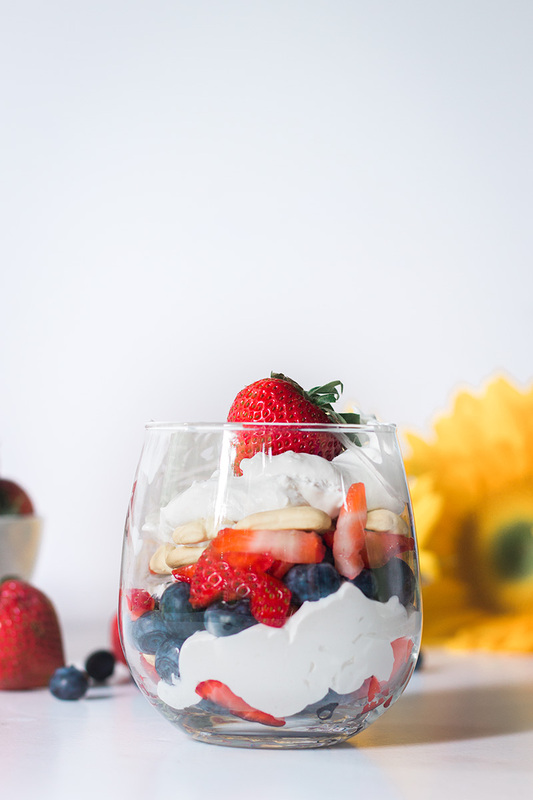 This super easy vegan parfait is a perfect dessert for your Fourth of July BBQ. In a glasses or serving bowls add one layer of each ingredient.